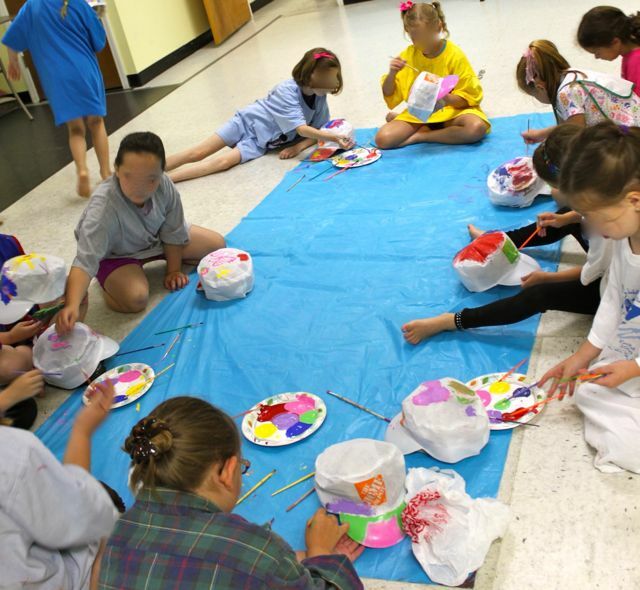 See more about our camps here – Rock Star Theme Camp. 1. 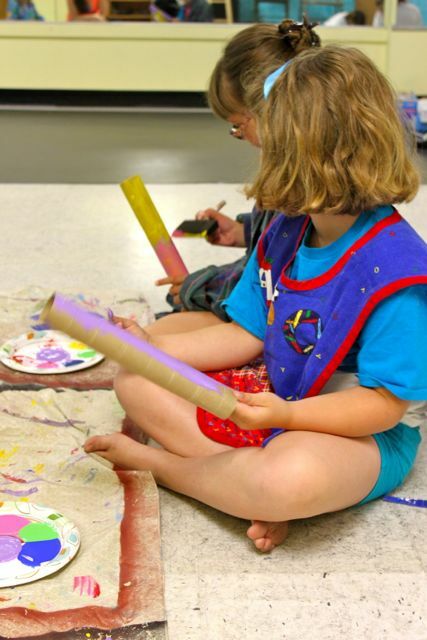 Paint cardboard tube. Set aside to dry. 2. Cover cardboard box with construction or contact paper. Decorate as desired. 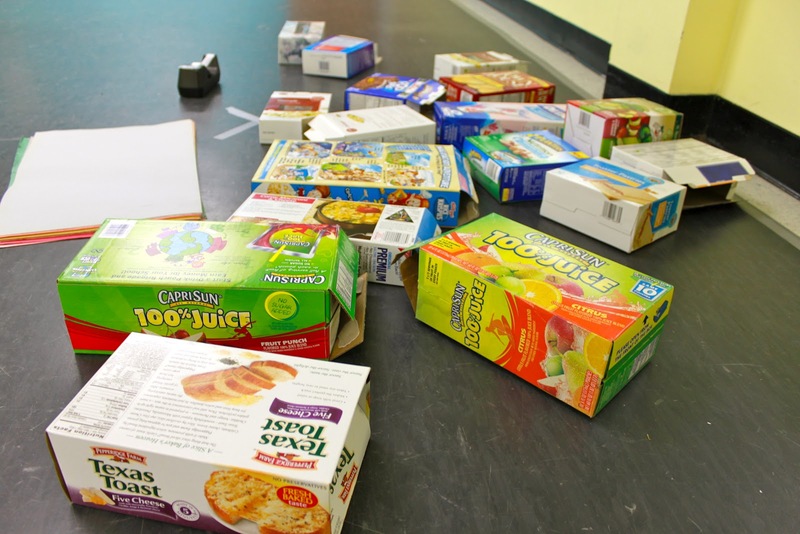 Our various cardboard boxes used as the body of the guitar. 3. *Teacher Job* Cut hole in center of box approximately 2″ x 2″. 4. Wrap 6 rubber bands around box and centered on hole. Slip two crayons under rubber bands on either side of hole (the “sound hole”). 5. 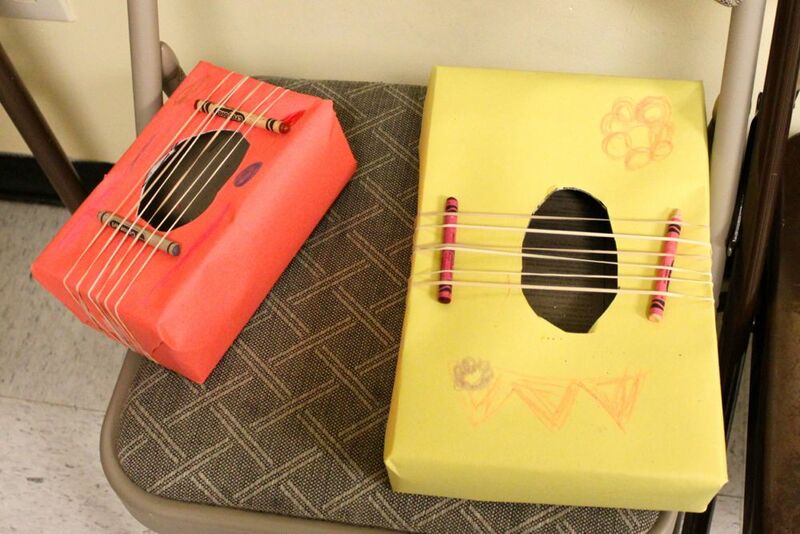 *Teacher Job* Once cardboard tube has dried, hot glue tube as “neck” of guitar. 1. Stuff hat with newspaper or plastic bags to keep paint from bleeding through. We put our crafts on a tablecloth to help avoid mess. 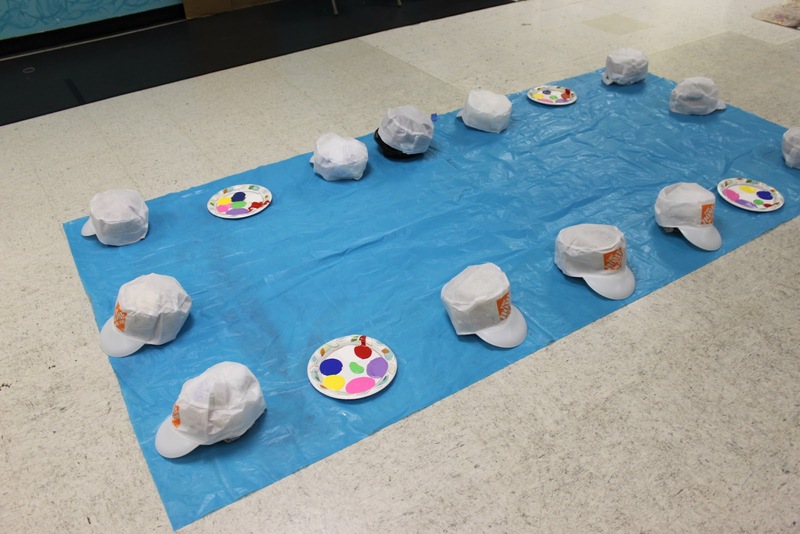 Painting our hats in action! 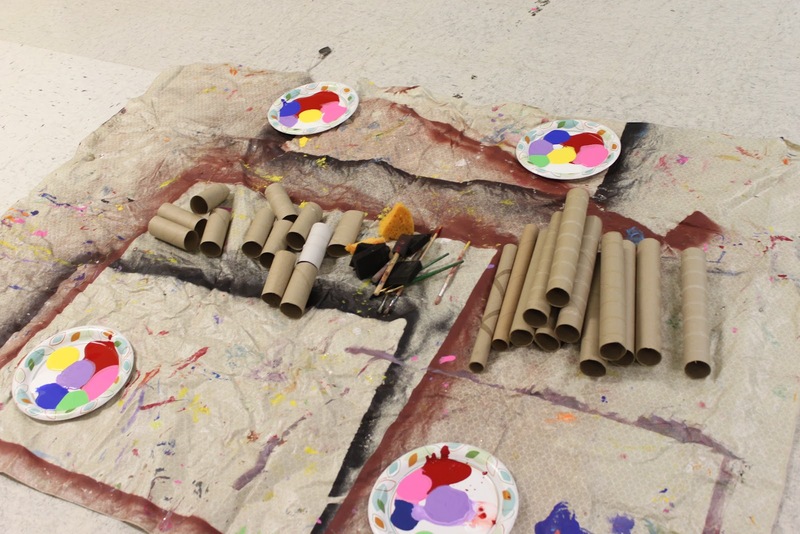 Paint cardboard tubes and set aside to dry. This will be the bottom part of the microphone. Dance: learn two more dances (about 1 minute each) – today’s dances were to a funky version of “Zip a Dee Doo Dah” (by Paula Abdul) and we tapped to “Old Time Rock and Roll”. Pick it up, switch switch, pass around. Clap (one) pick the bean bag up and put it down (up, down). Pass it to the right (pass around). 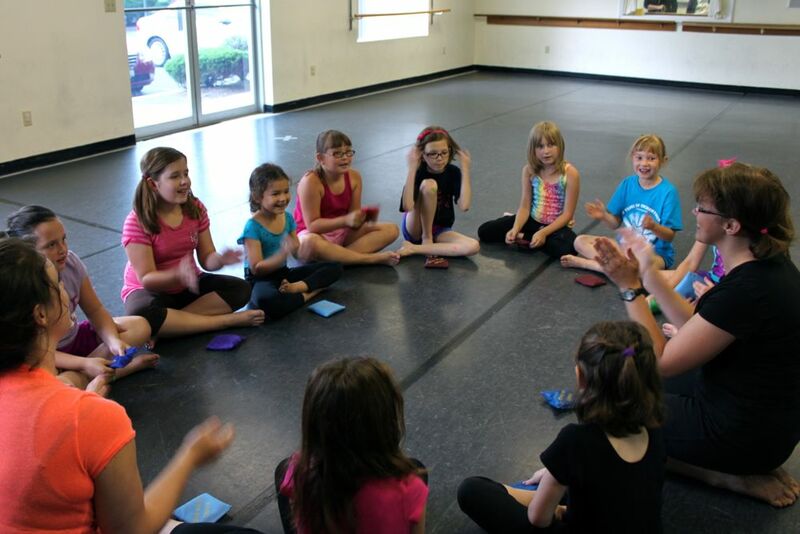 We practiced until we could go very fast and do it without saying the rhyme out loud. Then we switched directions! This page has a lot of beanbag songs.